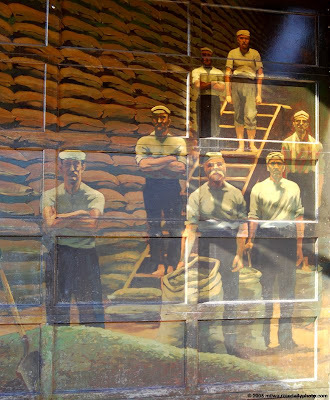 This mural is painted on one of the garage doors on the Alterra Coffee location on Prospect Avenue. Many of the Alterra locations use "recycled" buildings, keeping many of the unique architectural features intact and maintaining the buildings' character. Very cool! I hardly go to that Alterra because of parking issues I guess.